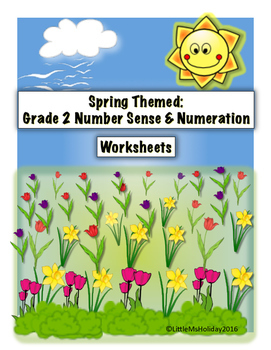 These worksheets have a spring theme but they can be used any time of year. The worksheets can be used in class, homework or as a test prep. They are easy to follow and straight forward. 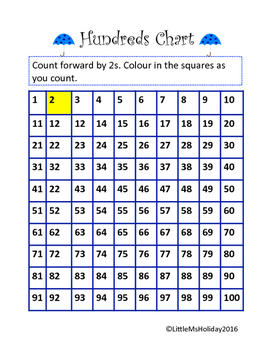 Page 4: Counting forward by 2s. Page 5: Counting forward by 5s. Page 6: Counting forward by 10s. Page 7: Counting forward by 25s. Page 8: Counting forward by 1s and 2s. 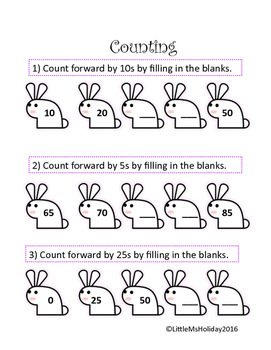 Page 10: Counting forward by 5s, 10s and 25s. Page 11: Counting backward by 1s. Page 12: Counting backward by 1s. Page 13: Counting backward by 1s and 10s. Page 14: Number Line- Counting forward by 2s. Page 15: Number Line- Counting forward by 5s. Page 16: Number Line- Counting forward by 10s. 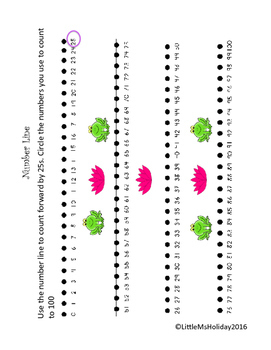 Page 17: Number Line- Counting forward by 25s.